Zenler named to TrainingIndustry.com’s “2013 Top 20 Authoring Tools Companies” list. As part of its mission to continually monitor the training marketplace for the best providers of training services and technologies, TrainingIndustry.com is announcing the second annual Top 20 Authoring Tools Companies List. Zenler, the leading e-learning authoring tool wins 2012 Brandon Hall Gold Award for the Best Advance in Gaming or Simulation Technology. The Award entries were evaluated by a panel of independent senior industry experts, Brandon Hall Group Sr. Analysts and Executive Leadership based upon the criteria Product innovation, Unique differentiators, Value proposition, and Measurable results. E-learning! Media Group – the industry voice of the enterprise learning and workforce technology market – announces the Best of E-learning! 2012 award winners. Zenler wins the Best of eLearning awards 2012 in four categories and an Award of excellence. Zenler won in four categories: Best Learning Management System (SaaS, Open-Source, or Content Supplier), Best Rapid Development Tool, Best Simulation Tool and the Best Assessment Tool. E-learning! Media Group – the industry voice of the enterprise learning and workforce technology market – announces the Best of E-learning! 2012 award winners. Zenler gets an Award of excellence for Best E-learning Development Tool. This Award of Excellence from E-learning! Media Group is solely based on voter ballots. 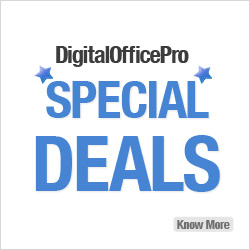 DigitalOfficePro - a Microsoft & Intel partner, is a market leader in online conversion and elearning tools. Copyright © 2019 DigitalOfficePro, Inc. All rights reserved.